1 photograph : b & w ; 3 x 5 in. 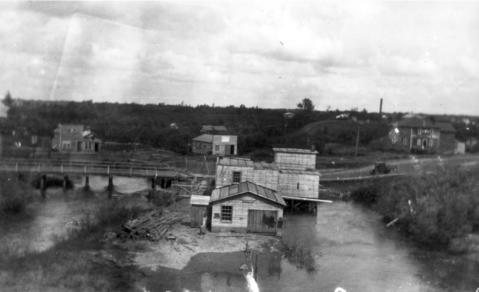 View of Walker's Saw & Planing Mill on Bear Creek, looking north from Richmond Avenue Bridge over Bear Creek. This mill was driven by steam or water power.